Although in today’s business climate, building a business takes minimal cash most of the time, there are some businesses that need money in order to operate. In this category are mostly service businesses that require tools (like a truck) or a physical location. Whatever your starting capital needs are, don’t let it deter you from starting a business. In the article below, I will talk about some ways to get some money for your business. So besides finding venture capital, borrowing from a bank, and asking friends and family, here are some more ways you can get money to start your business. 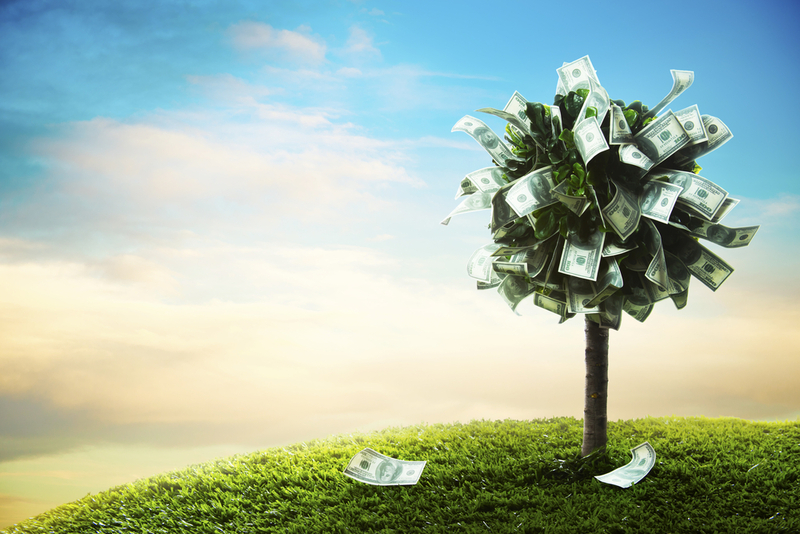 Social lending via LendingTree and Prosper has made it rather easy to get a personal loan. When you are borrowing money on this site, you are borrowing from a pool of other people who are willing to let you borrow money based on your credit score. Last time I checked, you can borrow up to $35,000 and have as long as 5 years to pay the loan back. Like traditional banks, the interest rate you are charged is dependent on your credit score. However, social lending sites usually are a lot easier to borrow from than banks and have pretty good rates. The higher your credit score, the better the rate. Now, most financial experts will tell you that you should never touch your retirement fund. Leaving there to grow is the safest thing you can do. But if you are reading, it means you are a (potential) business owner. And business owners are risk-takers by nature. So if the risk-reward ratio is there for you, borrowing from your 401k is an option. As for the specifics of how to borrow from your 401k, you will have to go talk to your Human Resources department. Often, you are only allowed to borrow the portion that you contributed, not the portion that the company invested for you. Sorry. If you are willing to give up part ownership of your business, you can find someone to invest in your company. No, I’m not talking about going to pitch to venture capitalists and angel investors, I’m just talking about talking to friends and acquaintances. You can even find multiple people to contribute smaller amounts of money. Although finding smaller investors is nowhere near as nerve-racking as pitching to venture capitalists, you will still need to do your research and convince them why they should invest in you and your business. Thanks to the power of the internet, you can now seek funding for your business globally without ever having to leave your bedroom. Crowdinvesting sites let the masses invest in your business. You present your business to the masses, and then you let them invest however much they feel comfortable with in and in return they get a stake in your company. Sites such as Crowdfunder, CircleUp, WeFunder, Crowdcube, and Microventures come to mind when it comes to crowdinvesting. You’ve heard of Kickstarter, GoFundMe, and Indiegogo. These are all crowdfunding sites. The difference between these sites and the “crowdinvesting” sites is the people who give you money on Kickstarter, GoFundme, and Indiegogo do not get a stake in your company. If you have a prototype product already or want to give out prototype products in return for cash, then I suggest going on Kickstarter or Indiegogo. If you want to just ask for funding without having to give back anything in return, I suggest GoFundMe. The SBA, or Small Business Administration does guarantee loans to small businesses. To participate in the program or see if you are eligible, go to any participating bank nearby. To find out more about the program, go to this link. The interest rate can range from 3.5% to 8.5% depending on the type of SBA loan you are applying for. With an SBA loan, you are dealing with a bank so make sure all the paperwork for your business is in order. There you have it, I’ve just listed five resources for you to go get your funding. Now go out there and get that funding and start building your business. Good luck!